Removal: Pick Up hours-Saturday, Jan 13th , 2018 or Sunday, Jan 14th, 2018 between 8am-11am at 2515 Zanella Way # 7. If you have any problems please contact us at 530 321 3304. The high-performance cooler for serious outdoor adventuring. The Driftsun 20qt. Cooler keeps food fresh and beverages frosty cold in any weather. Made of super-tough Rotomolded Thermoplastic, this ice chest features a freezer-style gasket and up to three inches of commercial grade insulation. 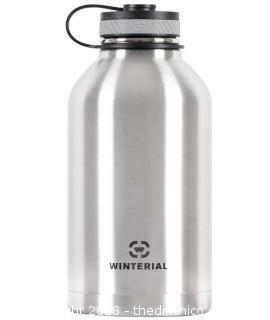 It holds ice for days, so it’s an excellent choice for wilderness camping, rustic hunting cabins and off-grid getaways. Fishermen, keep your catch on ice until you get back to shore. 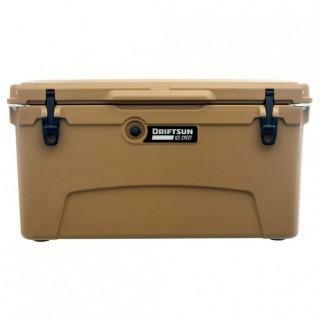 Comfort grip handle bar and recessed dual cap drain make the cooler easy to carry and maintain. Molded tie-down slots and non-slip rubber feet keep it from shifting in your boat, four-wheeler, car, or truck. Ideal cooler for SUPs, Kayaks and Canoes. DIMENSIONS (EXTERIOR): 21" x 13" x 14.5"
DIMENSIONS (INTERIOR): 14" x 8" x 10"
Sweaty exteriors equal dropped coolers, dropped coolers equal broken toes, and broken toes equal no fun on beaches. Driftsun mandates fun being had on beaches, so we engeneered our coolers to put a hard stop to condensation. These feet don’t have toes, but they sure do grip! There will be no coolers sliding across boat decks with these non-slip grip pads. Acclimate to any altitude! Normalize the pressure inside your cooler by simply pressing the Pressure Release Valve. No longer worry about tight lids when traveling up and down the mountain. Keep food fresh and beverages frosty cold no matter what the weather. 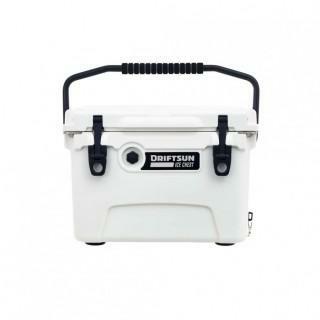 The Driftsun 45qt. high-performance cooler is built for serious outdoor adventuring. Featuring up to three inches of commercial grade insulation and a freezer-style gasket, this cooler will hold ice for days. 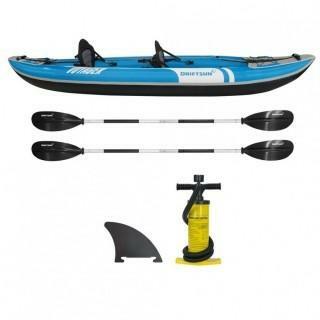 Features nearly indestructible Rotomolded Thermoplastic with molded tie-down slots and non-slip rubber feet so it stays put in the back of your boat, four-wheeler, SUV or truck. Plus, the UV-resistant material is going to keep it looking snazzy for decades to come. The recessed dual cap drain plugs are hose compatible for convenient draining and cleaning. A pair of handles with heavy-duty textured grips and military-grade nylon make it easy to haul to the campsite or beach party. It’s also an excellent choice for rustic hunting cabins and off-grid getaways. 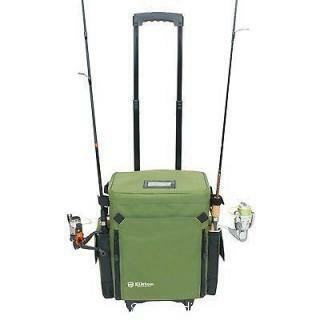 A must-have for extended fishing trips, this ice chest will keep your catch on ice until you get back to shore. 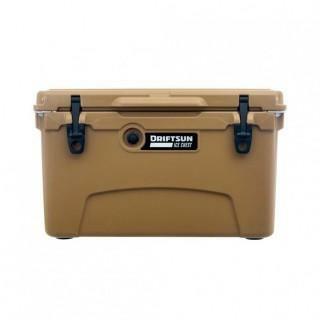 Whether headed to a beach party, weekend hunting trip, or catching the next big one, this cooler will handle it all. DIMENSIONS (EXTERIOR): 27" x 16.5" x 16.5"
DIMENSIONS (INTERIOR):20" x 10.5" x 11.5"
Stands Out- This halloween inflatable stands at 8 ft tall making it one of the biggest and most attractive inflatable halloween decorations around! Great For Any Occasion- Perfect decoration for parties, lawns and festivals! Can be used both inside and outdoors! 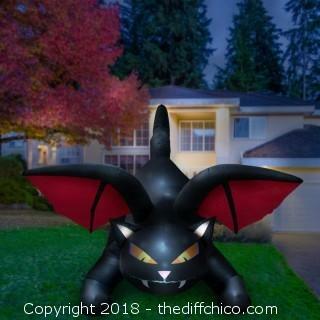 Inflates Quickly- Simply attach your blower fan to your halloween inflatables and plug it in and your inflatable halloween spooky cat will be ready to scare in seconds! Brand new item. Retail value $99.99. The Holidayana 10 foot Inflatable Ghost Family is the best way to show off your holiday spirit to the whole neighborhood this Halloween! Featuring inner lights to gently illuminate its effects at night. Our inflatable package includes rope, stakes and powerful blower fan to allow for a quick and easy set up. Halloween can be one of the most memorable Holidays for any child or adult. At Holidayana we strive to create some of the most exciting Halloween lawn inflatables available. Our deluxe Holidayana 10 foot tall inflatable ghosts will leave any any viewer in awe due to its height, powerful blower, and beautiful inner lights. Our ghosts is built with premium oxford fabric that will endure the elements during its time outdoors. Illuminate your spirit this fall with the best Halloween inflatables available! Stands Out- This halloween inflatable stands at 10ft tall making it one of the biggest and most attractive inflatable halloween decorations around! 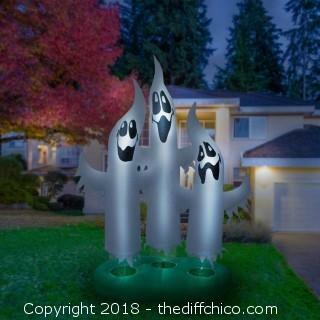 Inflates Quickly- Simply attach your blower fan to your halloween inflatables and plug it in and your inflatable halloween ghost trio will be ready to scare in seconds! Add some color to your favorite recipe. Braise, saute, bake, and serve in the same dish. The big 6-quart size and oval shape make this covered dutch oven the perfect roasting pan. Roomy enough to fit a medium-size turkey, it will become your go-to for holiday meals with the family and creating crowd-size feasts for special events. Versatile dutch ovens can cook everything from savory meat dishes to decadent desserts. Heavy-duty, cast iron construction provides superior heat distribution and retention. 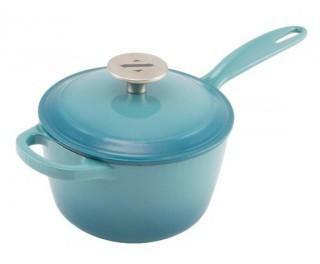 Three layers of chip-resistant porcelain enamel make this cookware durable and easy to clean. A cream-colored interior and vibrantly colored exterior give this set a high-end, designer look. Choose from deep red, orange, or teal. The tight-fitting lid seals in flavor and moisture, and features a textured self-basting underside. There’s no need to preseason porcelain enamel cast iron cookware. Just preheat it for a few minutes before cooking, and hand wash to keep it looking new for years to come. 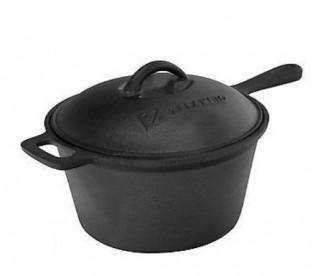 DIMENSIONS: 14.25" x 9" x 7.5"
Durable cast iron cookware is the perfect choice for creating hearty sauces, savory meats, rustic egg dishes, tasty bean recipes, stovetop breads, desserts and more. The Zelancio 2.5 Quart Sauce Pot is a great size for everyday dishes. Safe for use on the stove, in the oven, or over a wood fire, the included lid holds in moisture and flavor for mouthwatering meals at home or out camping. The convenient one-piece pot design features a long handle on one side and a short, wide handle on the other, so you can use both hands to lift food in and out of the oven. Hang the pot by its built-in handle loop to save cabinet space and add rustic charm to your kitchen decor. Cleanup is easy. To preserve the surface, wash the saucepan with hot water and a stiff nylon brush immediately after use then dry thoroughly and apply a light coating of oil. Give your child a special place to read, listen to music, or just daydream. The Driftsun hammock pod has a unique teardrop shape that creates a cozy, comfortable nook. 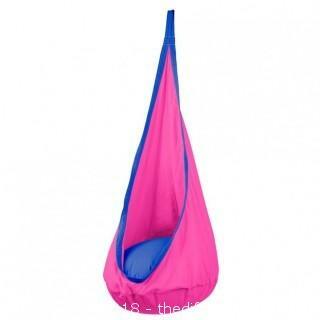 Available in blue, green, pink or light pink, each hammock comes with an inflatable cushion in a complementary color. Perfect for the porch, backyard, or kids’ rooms, it will quickly become your little one’s favorite spot. This suspended swing chair helps kids develop their body perception and sense of balance, making it a great choice for children with special sensory needs. The hammock can be hung indoors or outdoors and includes installation hardware, nylon rope and cloth case. DIMENSIONS: Seat Diameter 27.6”. Hammock Length 59"
Fresh air seems to make everything taste better. Fuel your outdoor adventures with hot, tasty meals made right at camp. The Winterial nine-piece camping cookset weighs just 2.1 pounds, and the space-saving, collapsible design makes it perfect for backpacking trips. 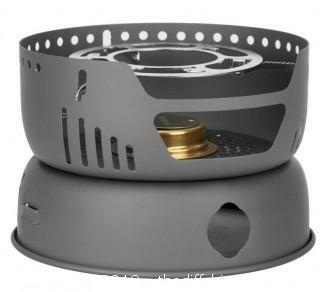 Made of anodized aluminum, the pots and pan are the perfect size to cook for 2-3 hungry hikers. The durable burner is constructed of stainless steel and copper. Add denatured alcohol to the burner for a long-lasting cooking flame. Set includes two pots, a frying pan, universal lid, pot gripper, windbreaker, stand and mesh carrying bag. The components fit together in a compact 8.4" x 8.4" x 4.3” bundle, making it a smart, portable choice for your camping equipment bag. •STORAGE DIMENSIONS: 8.4" x 8.4" x 4.3"
•MATERIAL: Anodized Aluminum Cookware with Stainless Steel and Copper Burner. •Carrying handles make transportation easy even when full! Insulated inside and waterproof durable nylon on the outside makes this perfect for any occasion and can be tossed around without damaging. EASY TO LOAD: Throw your bikes over your tailgate bike rack and you are ready to go! These pads will fit 1-6 bikes depending on a midsize or full size truck tailgate pad. SCRATCH FREE: The soft inner lining of the tailgate pad with NOT scratch your truck tailgate! 2 foam blocks on the outside will hold your bikes from tipping off to the side of the truck! 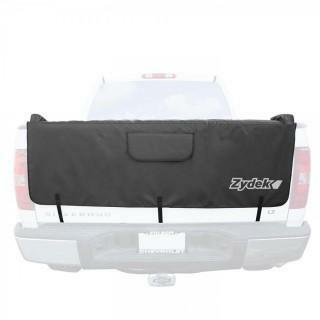 DURABLE: Strong nylon top coat and a soft inner liner provide for an all around high quality truck tailgate pad! 3 STRAPS: 3 simple tie down straps tie to the back of the truck tailgate securing the pad tightly to protect and haul your bikes! ACCESS FLAP: Easily access your tailgate hitch handle with the velcro access flap in the center of the tailgate pad! COMPACT: The Driftsun Propane Outdoor Patio Fire Pit is compact, portable and lightweight to easily bring a safe campfire anywhere you are. • POWERFUL: This 58,000 BTU patio fire pit provides warmth with a clean, smokeless flame that is safe to cook over. Illuminate a beautiful natural fire that rivals traditional campfires anywhere. Great for S'mores! • LONGEVITY: Get over 24+ hours of use on a single standard 5 Gallon propane tank. Constructed from highly durable steel and an enamel finish for long lasting durability. 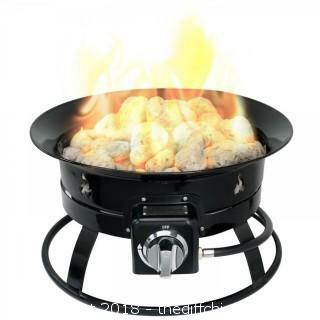 • ENJOY ANYWHERE: This self contained propane fire pit is perfect for your patio or backyard and is safe to use during most campfire bans. Enjoy your time outdoors without the need of firewood! This covered sauce pot is so versatile, you’ll use it every day. The heavy-duty cast iron construction distributes heat evenly so you can create soups, stews, and delicate sauces. The lid fits tightly to hold in flavor and the underside is covered with self-basting condensation bumps to keep your favorite recipes moist. 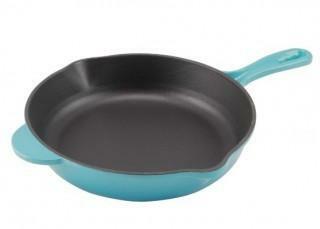 Available in teal, orange or red, it looks great on the pot rack, stove, or dining table. Engineered to resist staining, the three layers of porcelain enamel create a durable, chip-resistant finish that’s easy to care for. The sauce pot is heat resistant up to 500-degrees Fahrenheit, so it can be used on the stovetop or in the oven and it’s compatible with all cooktops. 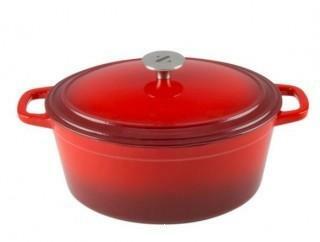 Hand wash your Zelancio enameled cast iron cookware to keep it looking and performing like new. 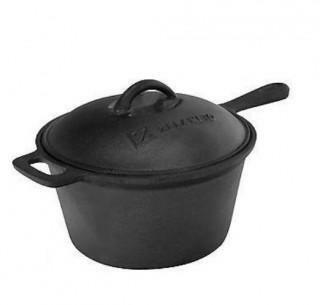 Perfect size pot for simmering small batch stews, sauces and soups. Get creative! Durable Construction for Longevity Elkton’s 18-Sided Archery Target is made from legendary XPE self-healing foam. XPE foam is a denser closed cell foam that will not easily compress with use over time. This enables it to maintain its integrity for years of spirited shooting. 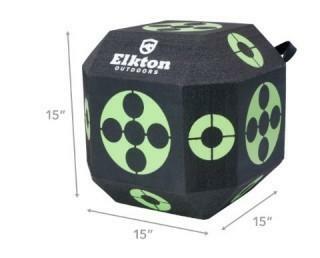 The Elkton 18-sided target is robust enough to take to the club or host a friendly competition in your backyard. The material is resistant to moisture, UV rays and temperature extremes so you never have to worry about damage from the elements. 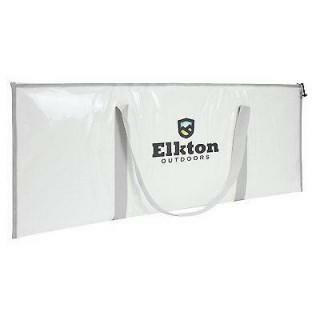 Compact and Portable You’ll find the compact design of the Elkton 18-sided target an added benefit, making it simple to store or put in the car. The target is light-weight and easy to maneuver, perfect for taking to a friend house or camping trip. A sturdy, nylon loop is attached to allow the target to be hung from a tree limb, pole or other fixture. Innovative Design to Challenge Your Skills If you’re looking for a variety of target sizes and multiple ways to challenge yourself, the Elkton 18-sided target offers the versatility you need. It provides an abundance of target zones in varying sizes and at different angles. The geometry of the target allows it to roll so you can even toss it to practice shooting a moving target. The contrasting colors on the Elkton 18-sided target make it highly visible. You’ll enjoy shooting the target whether at a distance or close range. Arrows slice neatly with little noise to avoid disturbing neighbors. Choosing a resilient target is essential to ensuring you have plenty of shooting time without the expense of frequent target replacement. The Elkton 18-sided self-healing archery target withstands even the most vigorous practice sessions and retains its shape through thousands of shots. You’ll find it’s the ideal target for training, demonstration or competitions. •SELF HEALING: Highly visible marks and made with legendary XPE self-healing foam! •DURABLE:Holds up against broadheads, field points and expandables- weather resistant material makes this cube target nearly indestructible! •MULTIPLE SHOOTING ANGELS: 18 sided for Maximum Archery Exposure! •VERSATILE: Several shooting options- hang from a tree, roll on the ground or place on a flat surface so you can shoot exactly the way you want! •ARROW PULLER INCLUDED: Free arrow puller paired with self healing target material allows for easy arrow removal- the perfect target for archery practice! Serious outdoor adventures need a high-performance cooler. The ultra-tough Driftsun 75qt. ice chest uses three inches of commercial grade insulation and a freezer-style seal to keep food fresh and beverages cold for days. Constructed from virtually indestructible rotomolded thermoplastic, this ice chest is built to last. With molded tie-down slots and non-slip GorillaGrip rubber feet, your cooler will stay put in the back of your SUV, truck, boat or four-wheeler. Making sure your it's ready for an on-board adventure without going for an unexpected dive. Textured grip handles with military-grade nylon make it easy to transport your cooler to the next venture. At 75 quarts, you'll have plenty of room to hold icy goodness for an extended hunting trip or camping adventure. Bring it on your next fishing trip to keep your catch fresh until it's ready for the BBQ. This big, super-insulated unit is a must-have accessory for ultimate beach parties, camping adventures and off-grid living. DIMENSIONS (EXTERIOR): 33.5" x 18.5" x 18"
DIMENSIONS (INTERIOR): 27" x 12" x 13"
New item. Retail value $42.99. The Driftsun Inflatable Voyager Kayak the ultimate compact solution for those who looking to cruise, paddle and explore rivers, lakes and streams but don’t have the room to store and transport an expensive, heavy, hard shell kayak. Built for comfort paddling, exploration, fitness paddling, and touring. This package combines the highest quality materials, workmanship and top notch accessories at an unbeatable price. Driftsun Inflatable Kayaks were born on the lakes and rivers of Northern California. Thoughtfully designed, constructed and tested by a team that lives to paddle. - Recommended weight limit: 450 lbs. With our all-season youth snow/street scooter we can GUARANTEE you year round fun! This scooter will definitely leave you with a smile on your face, whether you're shredding the slopes in winter or bombing your favorite street hill. Sleds for snow are a thing of the past with this uniquely functional snow/street scooter that can quickly fold into its compact form for storage. 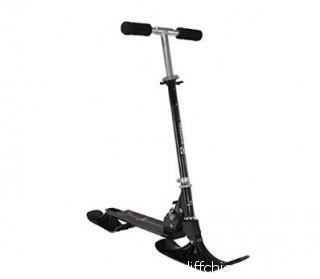 Whether you're planning to buy this for yourself or for your child, you can guarantee our product will offer safe fun for those that ride our scooter. •QUICK assembly so you can spend more time shredding! •HAVE FUN exploring the slopes on your Winterial Snow Scooter! Brand new. Retail value $99.99. Have the best seat in the house, no matter where you go. The Driftsun portable bleacher chair will support your back and keep you comfortable at the campsite, concerts, sporting events, and everywhere in between. Integrated armrests take the pressure off your shoulders and upper back and can be folded down to increase the seat width for an additional 5”. Available in both standard and expanded width models to customize your comfort. A high-density polyurethane foam cushion keeps you comfortable on hard gym bleachers or cold outdoor stadium seats. The reclining backrest lets you choose the perfect position for watching the kids’ games or reading on the beach. A drink holder and side pocket keep your beverage and cell phone always within reach. Designed to take anywhere, the chair folds up and has adjustable backpack straps for hands-free transport to every outdoor adventure. 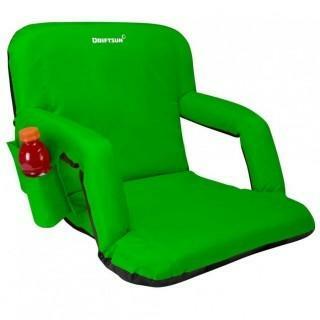 Available in blue, orange, green, and pink, your chair will never get lost in the crowd.